The variety of species in a sample, community, or area., complexity, and adaptation of living organisms and their habitats through field studies. Planktonic organisms, like this copepod larva, form the bulk of almost every bivalve's diet. Feeding type of some bivalves during which organic particles are harvested (by either the siphons or palps) from the surface or near-surface sediments; see also suspension feeder.. A few bivalves have symbiotic algae in their tissues that provide energy through photosynthesis or chemosynthesis; another few species are active predators on other animals. 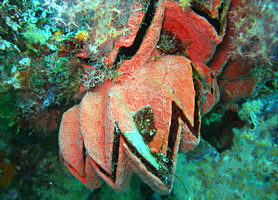 The Cockscomb Oyster (Lopha cristagalli), on a reef in Micronesia, has a jagged shell margin that aids in preventing predation. 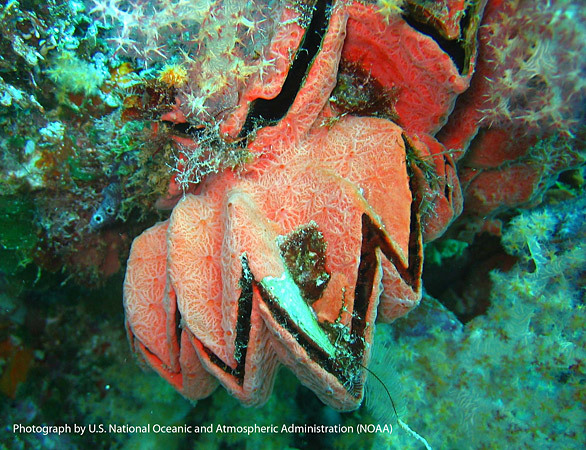 The shell is naturally deep purple; the red external color here is a coating of living sponge. A heritable feature of an individual’s phenotype that improves its chances of survival and reproduction in the existing environment. to help protect them from predators. Most can clamp shut fairly tightly using strong internal muscles. Some bury in the sand to hide, or have thick shells that resist being cracked open, or spines or irregular shell margins to prevent a predator from prying them open. 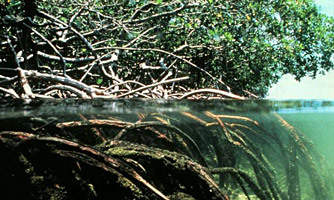 Mangrove roots are an important habitat for many marine organisms, including bivalves. Bivalves are a very diverse and adaptive class and have been able to populate most of the Earth's aquatic habitats. 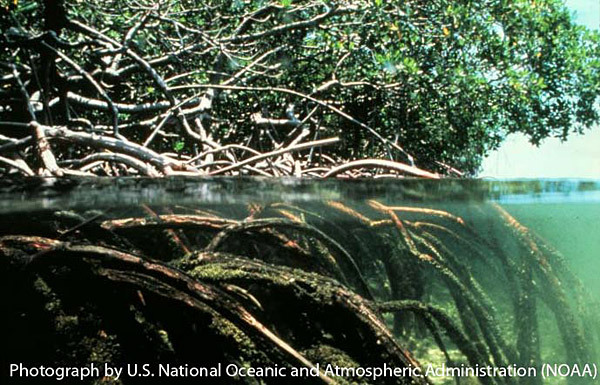 Bivalve habitats range from shallow to deep water and include freshwater to estuarine to oceanic environments. Bivalves are also commonly found among seagrass, and mangrove roots, in the mud and sand, and attached to seawalls and rock. 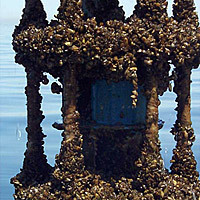 A fouling community of Zebra Mussels on a current meter from Lake Michigan in 1999. 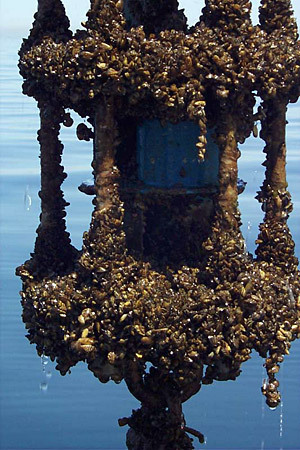 Community of organisms found attached to hard substrata, most usually human-made, e.g., on the sides of docks, marinas, harbors, or vessels. on the hard surfaces of boats, seawalls, docks, power plants, etc. Living independently of another organism; not part of a parasitic or symbiotic relationship; or moving independently, i.e., not sessile. or not directly dependent upon another organism for survival. 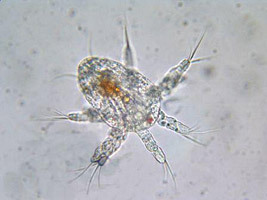 However, some species depend upon mutual, commensal, or even parasitic relationships with other organisms for survival. For examples, see the How Evolution Works: Coevolution section.